This soapstone with wooden base belongs to the selection by Brandani - a premium Italian brand whose tableware has become iconic. 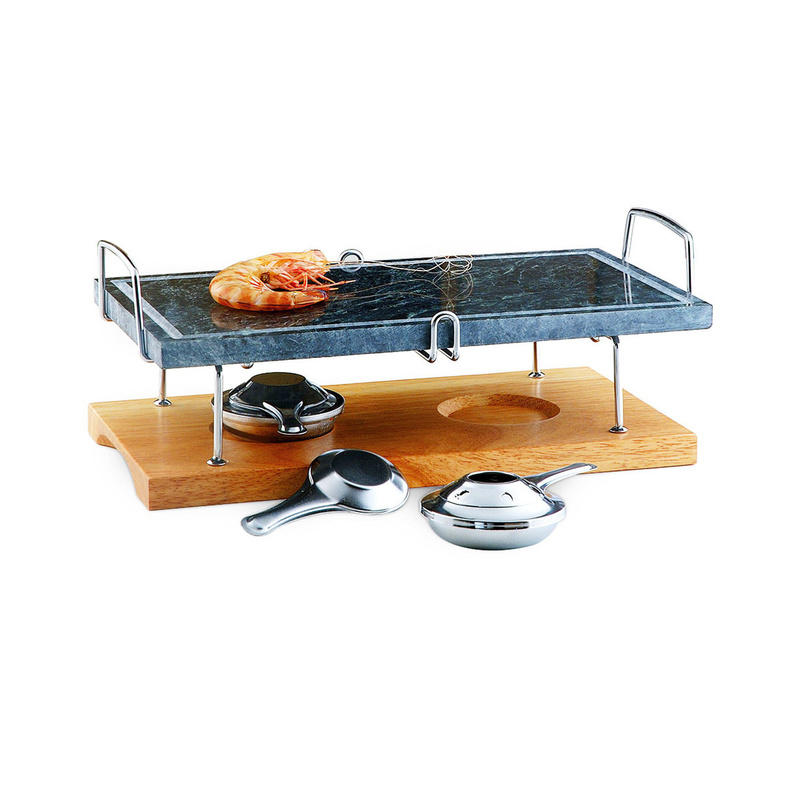 This item is ideal to cook meat and fish directly on the table. Before using it, wash the stone on both sides using warm water. Then oil it, sprinkle some salt and put it in the oven - pre-heated at 200° C - for a few minutes, until it reaches the desired temperature. Place the stone on top of the metal grill and place it on the table. Now your grill party can get started! While in use, adjust the burners to keep the stone hot. 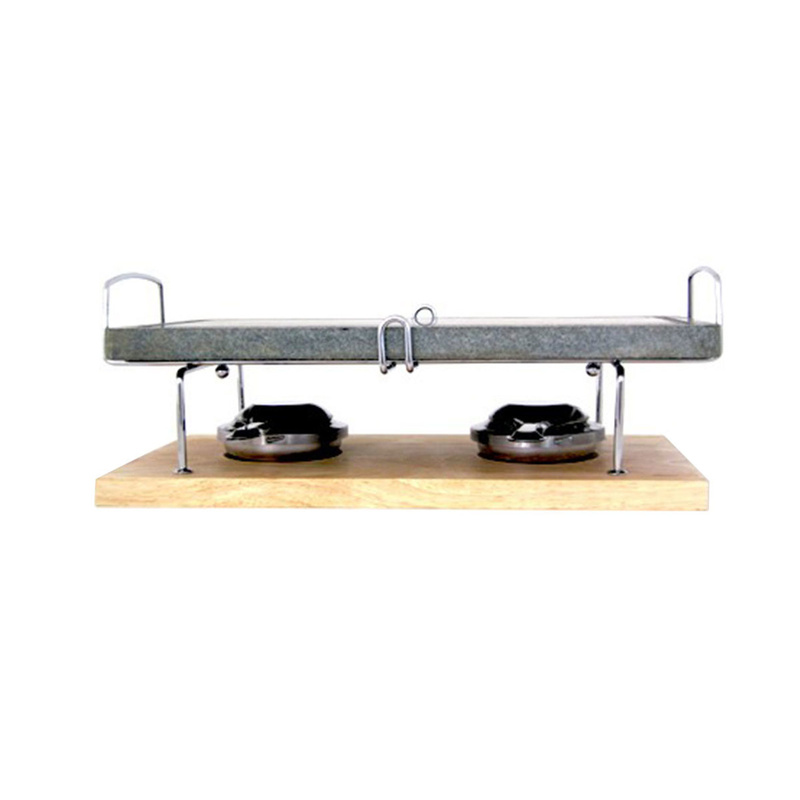 Cooking on soapstone is a very natural way of cooking. 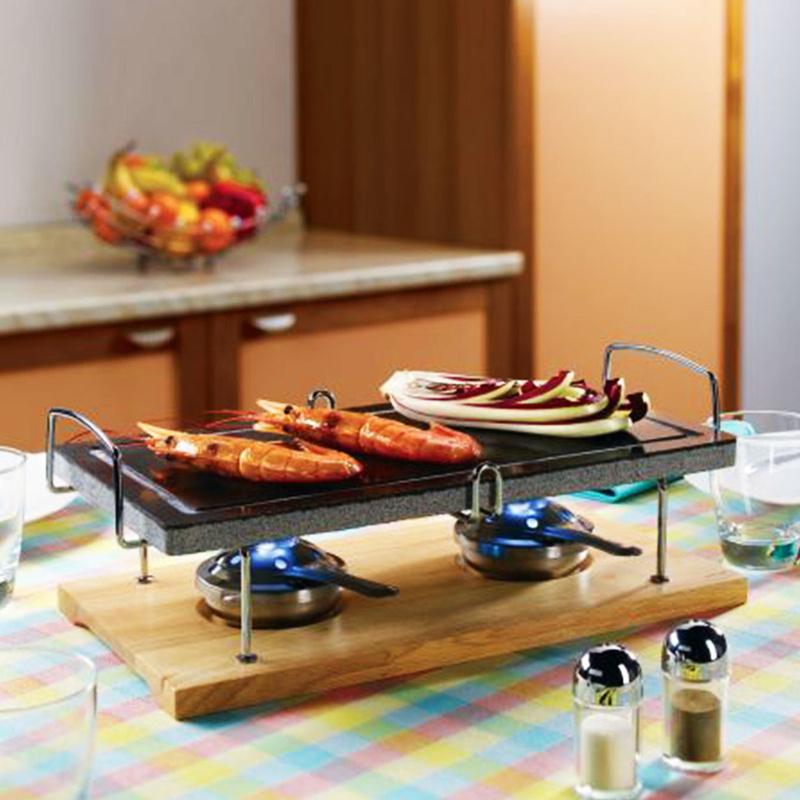 It radiates heat uniformly, in an ideal way to cook any kind of vegetables, meat or fish. This fat-free cooking method allows food to retain its nutritional values and natural taste. Technical specs: soapstone is a natural product, carved out of quarries and cut into the desired sizes. Its main features are - excellent solidity, high thermal resistance and porosity. After warming up, small cracks may form due to heat - this doesn't affect in any way the features and quality of this stone. While cooling down, cracks will narrow a bit but will remain visibile. Do not use detergents, do not wash in dishwashers, prevent any falls as stone might crack.